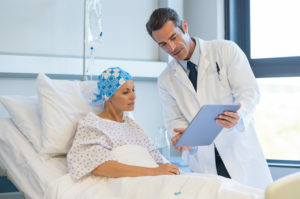 A review of 14,228 cases of mesothelioma conducted by researchers from Mount Sinai Health System and Hofstra School of Medicine in New York found that the average five-year survival rate for women with mesothelioma was more than twice as high for women as for men. This proved true even after factors such as race, age, and stage of mesothelioma development were taken into account. The average five-year survival rate for women with mesothelioma was more than twice as high as for men. Researchers from Brigham and Women’s Hospital in Boston have discovered the gender-specific genetic mutations that seem to give women with mesothelioma a higher chance of survival. It is the hope of these researchers that this new understanding could point towards treatments that will help men diagnosed with mesothelioma live a longer and more satisfying life. These specific mutations are valuable to researchers due to their potential for the development of more effective mesothelioma treatments. If you have been diagnosed with mesothelioma, please contact The Williams Law Firm online or by calling (855) 955-6376 to schedule a free consultation today. Mesothelioma attorney Joseph Williams serves men and women exposed to asbestos in New York City, Staten Island, and throughout the Unites States.